It is with regret that the Club has to announce the death of Associate Member Alan Mann who passed away peacefully in his sleep on Wednesday 21st March. 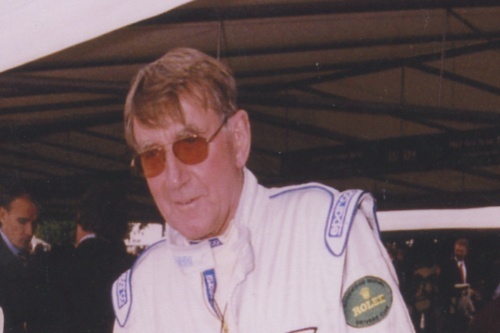 Alan, who only recently joined the Club in 2007, started his racing career in 1956 before concentrating on management and then setting up his own team, Alan Mann Racing, in 1964. Alan Mann Racing, based in Byfleet, won numerous major championships including the British Saloon Car Championship, the European Touring Car Challenge and the FIA World GT Championship for Manufacturers, all with a variety of specially prepared Ford cars. Many of the leading race and rally drivers of the time were employed by Alan Mann Racing, including Sir John Whitmore, Jacky Ickx, Bosse Ljungfeldt, Graham Hill, Frank Gardner, Sir Jackie Stewart and Bruce McLaren. Condolences have been passed to Alan’s widow, Sharon, and this two sons Thomas and Henry. There will be a private funeral and then a Memorial service is being held at 12noon on Thursday 3 May at Romsey Abbey, nr Southampton.